The AdCare Hospital is an accredited rehabilitation center that offers residential, outpatient and intensive outpatient programs (IOP) to patients struggling with substance abuse and alcohol abuse issues. The AdCare Hospital is found on several different locations around Massachusetts and Rhode Island. While the outpatient treatment programs and the intensive outpatient programs (IOP) are offered in facilities across Boston, Quincey, West Springfield, Warwick, and North Dakota, the residential treatment programs are only offered at the facilities in Worcester and Rhode Island. Today, we are here to talk about the AdCare Hospital located in Worcester, Massachusetts. The residential treatment program at the AdCare Hospital, located in Worcester, Massachusetts, lasts for 15 days. Detoxification is available on-site, and it is included in the price. The program includes individual and group therapy sessions as well as family therapy sessions. Patients of all ages are accepted at the facility. Mostly, there are teenagers, college students, and adults accommodated at the AdCare Hospital. The AdCare Hospital follows the 12-step recovery program and includes weekly AA meetings. Dual diagnosis is also available to the patients suffering from substance abuse or alcohol abuse while at the same time struggling with some kind of a mental health issue – bipolar disorder, depression, anxiety, eating disorder, etc. Because the residential treatment program at the AdCare Hospital is quite short, they are encouraged to proceed and take part in an intensive outpatient program (IOP) when needed at some other location where the facility is found. The AdCare Hospital accommodation is done in a single building which is furnished in the style of a hospital. The building consists of four floors of which one of them is reserved for patients who are taking part in the detoxification process available on-site. All four floors are furnished in the same hospital style. Each room can accommodate two patients at a time. The rooms are furnished in a simple way with beds, wardrobes and bedside tables. Bathrooms are available in each room and are meant to be shared between the roommates. There are separate areas in the facility where there are the doctors’ offices, therapy sessions rooms, and common rooms. Common rooms are available on each floor, furnished in the style of a living room with a TV. The common rooms are where the patients are encouraged to spend time together, which TV, eating pizza, playing games, etc. The main cafeteria is where the patients are served three meals, prepared on-site, each day. Any dietary requirements are usually respected. 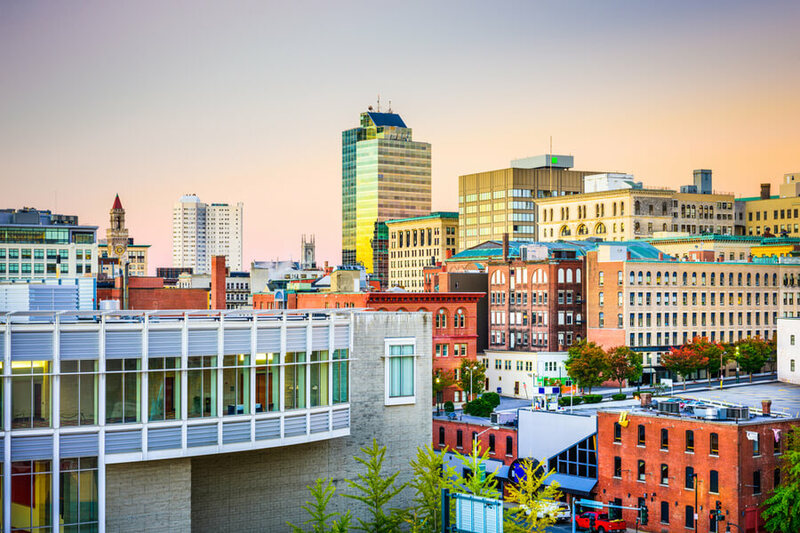 As we mentioned earlier, the only treatment program found at the AdCare Hospital, located in Worcester, Massachusetts, is their residential, also known as inpatient, treatment program. As a part of this program, the patients are required to live on the grounds of the facility. The program lasts for 15 days and detoxification is a part of the price of the program. The inpatient treatment program at the AdCare Hospital includes both individual and group therapy sessions on a daily and weekly level. Family therapy sessions are a part of the treatment program as well. The family is considered to have a great role in the recovery process of the patient. That is why, close family members are invited to take a part in the family therapy sessions as to learn more about the issue of addiction, understand the problem that they loved one is dealing with and engage actively in his/her recovery at the facility. The inpatient treatment program follows the 12-step recovery program which is led by experienced LADCs ( Licensed Alcohol and Drug Counselors). The price for 15 days of the residential treatment program at the AdCare Hospital is $6,700. The price includes on-site detoxification as well. Unfortunately, no information about the coverage of insurance plans is to be found on the official website of the AdCare Hospital. For more information on the topic, feel free to contact the official staff via email or phone. The AdCare Hospital has been accredited by the Joint Commission with the National Quality Approval. For more information about the staff’s and facility’s accreditations feel free to contact the staff via email or phone. Staying physically active is quite important according to the staff at the AdCare Hospital, which is why there is a fully equipped gym on-site free to be used by every patient. Spending time together as a group is also considered quite important. That is why the staff makes sure that the patients are spending a lot of quality time outside their therapy sessions. For that purpose, special trips, movie nights, game nights, etc. are organized on a daily level, especially during the weekends. The team at the AdCare Hospital consists of trained nurses, physicians, social workers, case managers, psychiatrists and LADCs (Licences Alcohol and Drug Counselors). All of the staff at the AdCare Hospital is highly experienced working with substance abuse and alcohol abuse patients. For more information on the topic, feel free to contact the staff via email or phone.